Can associations, clubs and non-profits create professional-looking sites using website builder templates? The answer is yes! Wild Apricot’s software is designed specifically to help small membership organizations build, update and maintain their websites (as well as membership and event management). And in our most recent release of Version 5, we actually totally re-built our content management system or CMS to enable easier and more flexible site design, offering more modern website themes and easy-to-use customization tools. Following the release of Version 5 we were keeping an eye out to see how Wild Apricot customers were using the new CMS tools to create websites or revamp their existing sites. 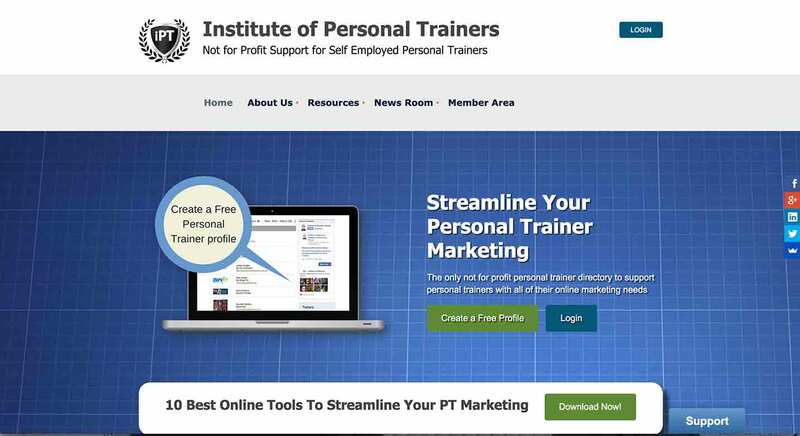 One of the first new sites to be created using our new tools was The Institute of Personal Trainers. We thought they’d created a wonderful website and followed up with it’s designer, Dan Salcumbe, to see what inspired the site and find out about his experience using Wild Apricot’s Version 5 to build the new site. Frank Goertzen, Wild Apricot: What is your current role? Dan Salcumbe: My current role within the organization is founding director. It's a mother company to other sub companies I own. All related to personal trainer marketing. Do you have experience designing websites? I'm a web designer, yes, but not the coding kind. I find easy to use solutions for personal trainers to market their business in the most flexible and cost effective way. Who is the audience for your website? The audience for the site is definitely personal trainers. Particularly startups. What inspired the look and feel of your website? The look and feel literally just spiralled from my imagination and what I could do within the parameters of the Wild Apricot theme. What motivated you to create this site? I originally created the site in the old version of your software, but felt the site didn't have the right feel. I was excited to see what the latest version [of Wild Apricot] had in store and it was everything I was looking for to build a content driven membership site. I would say the site took me about 36 hours to design and get the right feel and of course, this is ongoing. Did you have to use any external tools to create your website? The only external tools I have used is Google Maps to map my members and SumoMe to take email addresses. How did you collect feedback on your website? I used a website called Criticue to get feedback from hundreds of other anonymous website owners. The feedback was 100% positive all around with the exception of a couple of marketing tweaks. How did you find Wild Apricot? I found Wild Apricot in a search engine using the search term "membership website". 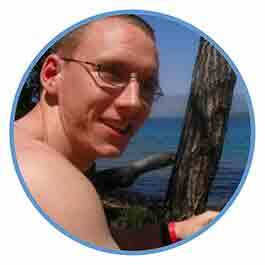 What was your overall experience using Wild Apricot’s CMS? Wild Apricot is 100% the easiest membership management software and I'd much rather use this than the likes of Wishlist or other WordPress plugins. I've also researched every company under the same search engine results as Wild Apricot and found nothing that compares to the ease of use and quick setup. I made a profitable business [website] in less than 3 weeks. The process was as easy as anyone could expect for such sophisticated software. I had no issues whatsoever. Thanks so much Dan for sharing your experience in developing the The Institute of Personal Trainers' website using Wild Apricot. We wanted to share this example that demonstrates how our customers can craft well-designed websites using Wild Apricot’s tools and some creativity. Have you created a new website or updated your organization’s website with Wild Apricot’s new CMS tools? We’d love to hear about it and see it – so share details in the comments below.